I published the first post on my blog on January 7, 2015. I received my first blogging award nomination on January 22. I appreciated the nomination for the affirmation that my blog had been noticed, but it did not make me think that I have a superior or exceptionally special blog. There is no voting process so at most it is one person who thinks my blog is deserving. I was grateful for the nomination because the award process is an excellent way to build blog traffic for myself, for the person who nominated me and for the blogs I chose to nominate. 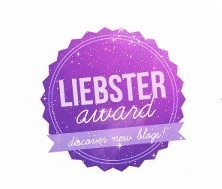 Since my first award I became aware that not everyone looks favorably upon blogging awards. The Daily Post had an article on blogging awards and many comments were posted opposing the awards. One objection is that they are chain mail. The problem I have with chain letters is they play on superstition and emotional blackmail to get passed on. (Send this to 10 people within 10 minutes or you will have 10 years of bad luck) The awards process does not have that issue. It is a nomination and someone can choose to accept it or not. Am I missing something? Another objection is that the awards process is time-consuming. You get no argument from me. It does take a lot of time to write the acceptance blog, especially to come up with an acceptable list of nominees. Some people say they already comment on blogs that they choose to support so the nomination thing is unnecessary. Comments are great but individually how do they reach the large audience? Some say the questions asked are too personal. It is not the questions that are personal. It is how someone chooses to answer that could be too personal. I personally love reading the award nomination and acceptance posts. The questions that are posed or the random facts that are shared contain great ideas for future posts. I get to know a little bit about the blogger which might motivate me to look further into their blog and potentially follow them. You are provided with a readily available list of from 7 to 15 new blogs to visit and explore. My normal process with award nominations blogs is that I read the nomination post on the blog that nominated me. I check out the blog that made the original nomination. I look at the other blogs nominated along with mine. Instant blog traffic. Then on my own acceptance blog to decide on nominees I look at blogs I had already visited, commented, and possibly followed to see if they “feel” right to be nominated. I will also look at other blogs on the “follow” list within the blogs I am considering. Some of them do not interest me at all so I don’t stay around for very long, but others are extremely interesting. I also review design and layout which I might choose to incorporate in my blog. All this increases traffic to the blogs I visit. I will comment when motivated to do so. Admittedly it takes a great deal of time, but there are many benefits. Each time that I have posted an acceptance blog I see increased traffic. Since I am still a new blogger it is completely possible that my feelings about awards might change as my blog matures. But for now, I love the awards. They take me places in the blog world where I would not otherwise go and they build up my community. I currently have two additional nominations that I will accept and I will nominate other blogs. I avoid nominating blogs that choose to not accept awards and also those that have already received the same award, but I will prowl for worthy nominees. Blogging awards, just another thread of my life. You read my mind, but went a step further and actually put a pen to it. I was told by someone in a professional blogging network that the awards are worthless and I shouldn’t post them on my page. I think if you enjoy the blogging community – it’s perfectly fine. It’s a great compliment. Nice post. Thank you. I have been a little conflicted by this, but I really think it has helped me. I know that I came upon several blogs that I probably never would have found. It is time consuming to accept. I love your theme with the lemon. I don’t think anything but a minimalist theme would be as effective. But I don’t think you are required to leave the badge permanently on your site, only in the acceptance blog if you choose to accept an award. Some people add a category of “Awards” so they would only be seen if you click on that menu item. But it is entirely your choice if you accept. They do tend to multiply across the entire blog world, but for a beginner building a community they really help, in my opinion. I like your insight into this- for me, i was confused because some people waxed eloquent on the awards and some ( like me) chose to ignore them, simply because of the time involved in thinking up an answer and nominating 10 others. I agree that these bring traffic to our blog and are a way of interacting with the online community. Congratulations and keep writing ! Thanks. So do you think you will continue to ignore them? I never know when I am considering nominating someone if to them it is a nuisance or something they will appreciate. In the future if I change my mind, I will certainly go forward with it -I have nothing against them- its just that I am lazy and can’g be bothered at the present time. I expect you are not really lazy – my guess is you just have other priorities. Thank you- sometimes compliments from the most unexpected quarters make a person’s day. Very nicely done!! Since starting blogging—one month ago—I have been way more motivated to write…which is my goal. Not only the prompts, but also the “likes” somehow feed my soul, perhaps only my ego. But an ego needs food, too, right? The awards take things a step further. Buffet for the ego. I have been depressed, lately, because nobody nominated me for the “Sisterhood” of the World Bloggers Award and because I’m a man, I’m assuming. Gender is b*tch sometimes. I appreciate the humor in your comment. I hope your depression for not being part of the “Sisterhood” is not too deep-seated. But until I read your comment I did not think of the exclusionary aspect to the sisterhood award. Ha! I know that sometimes in life some things just aren’t fair, sometimes just not meant to be. But I’m very in touch with my feminine side, I love my sisters, and would not feel insecure about people thinking I was effeminate if that flowery blue jean patch colored my blog. I suppose I can’t get on BlogHer either! I think to remedy the gender issue, a ‘Writerhood of the Traveling Blogs” would help clear up confusion. Just a rename it. When I first saw it on someone’s blog, I immediately related it to the movie, “Sisterhood of the Traveling Pants.” It was just a play on title. I haven’t been nommed for it either. So not sure there is a gender issue. Maybe more of a whose seen my blog issue. I did get one award, tho. It was one for those who have under 200 followers, which is where I was, and still am, far as I know. Thanks for your comment. It is nice to know that some one recognizes your efforts. Thanks for explaining these. I have been nominated and did nothing with them because I knew zero about them! How long are they good for? Your points are valid and I agree with your view point! Thanks! As far as I know, there is no expiration date on the nominations. 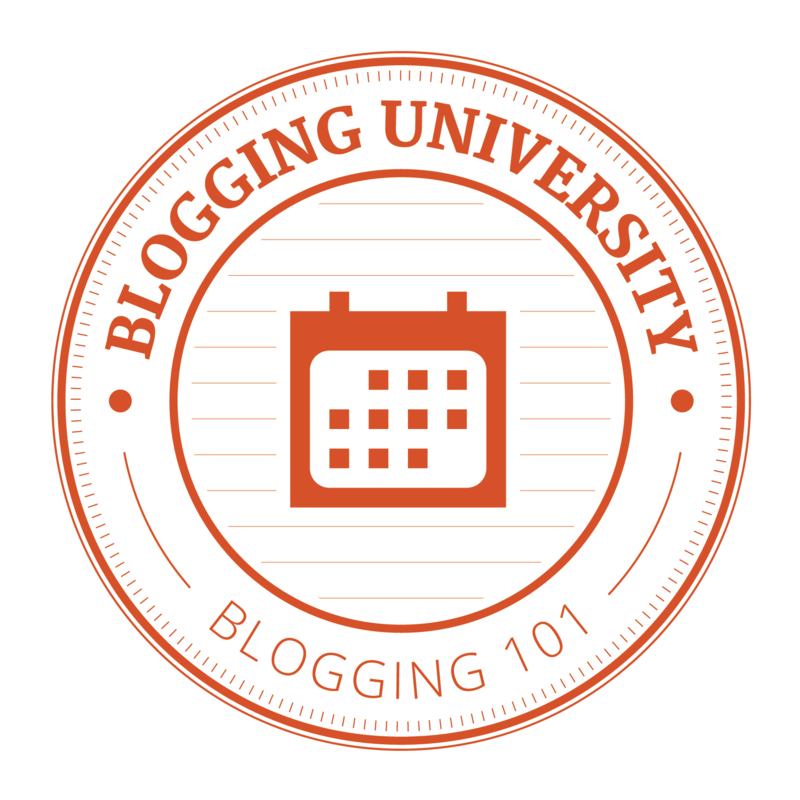 If we see the purpose as building up the blogging community that can happen anytime. All true enough. As you point out, you may decline, or do the work and accept. I really do not judge a blog, by any trinkets hanging ‘n the edge of the page. Usually I read and like, or just leave. Obviously, we will write more than a few turkeys, to make up for the gloss. It’s all practice. Oh for anyone not knowing what to do? Just “google” the award. I am with you in that it isn’t the trinkets that make my like or not like a blog. But sometimes it is the nomination that makes me look at some blogs, and I can then decide for myself. Thanks for writing this, and thanks for nominating me for an award! I think over time people change how they feel about them over and over. But, you are right, who doesn’t like to be awarded? This response caused me to go back and look at your acceptance post. I still really like it. I really enjoyed this post! It definitely had some food for thought. I can see both sides of the argument, and I know when I am nominating blogs I worry that I am somehow bothering them. I just hope other bloggers feel as honored as I do when someone acknowledges my blog. I suppose some people might be bothered but I think they are free to ignore it or let us know how they feel. 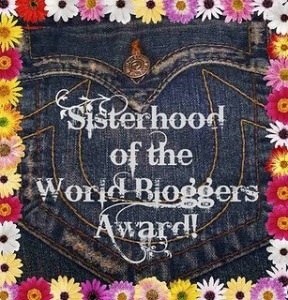 When I saw my first award on someone’s page, it happened to be the Sisterhood of the World Bloggers Award, and I knew right away it was a take off (on title play) of the movie, The Sisterhood of the Traveling Pants. I thought that was cool. I saw various other awards on other blogs, and it never seemed to me that it was a chain thing. In my RT, and I agree with you, a chain letter can be at the very least, annoying, and at the very most uncomfortable. But the awards never struck me as chains. What they said to me was someone values the efforts I make in writing. I finally did get an award, and I actually found the whole process of doing it fun! But I also respect that others don’t have any use for it. And I make sure, (by sending a comment to them ahead of time, to ask if they would mind if I did nominate them), and that way they won’t feel compelled to have to decline, or anything. And as for the idea of trinkets on the pages, my theme hides everything behind a slideout bar. So it’s immaterial in terms of prestige they might or might not bring. You post is a wonderfully well thought out piece! So much truth in your article. I have a conundrum. I have received nominations for awards but I want to stay true to my reason for blogging and that’s my “List”. I was thinking that after I complete this year maybe I will carry on with blogging, reply to the nominations and recount other stories in my life. And by the way, the first thing I did when I retired, I took up painting something I couldn’t afford as a teenager and only started now. It seems that if an award acceptance does not fit into your blog then you should not accept although for me it did really help my blog traffic. I noticed comments that you had made in response to nominations and your responses were perfect. I look forward to trying many new things when I retire and your blog is great inspiration for me. Awards are very time consuming but they’re also a lot of fun and you can choose whether to participate or not which is good. I found it interesting to read other people’s answers to the questions. When I’ve nominated blogs for awards, I don’t think any of them ended up accepting, but that’s ok, they are probably busy doing other things. I generally have had a few people accept the nominations which does generate traffic as I’ve said. Although lately I have had some nominations and I just have not been able to find the time to do an acceptance post. I intended to but other things have taken priority.